i know i've mentioned before about my dread associated with family pictures. i've hated getting my picture taken since i was a little girl, but now it's even worse because not only am i responsible for making sure i look okay, i have to make sure mr. a looks good, piper's looking at the camera, and quinn's not crying. not to mention trying to somewhat coordinate outfits for 13 people. a few days ago my brother and sister in law arrived from california and the whole family was together again. this only happens once a year, so of course it must be documented photographically. 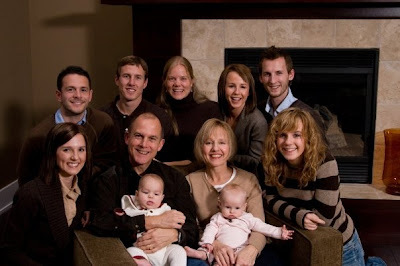 but, lucky for me, no one told me about the family picture until 5 minutes before so there was no time to stress! plus, piper is finally old enough to be bribed so in only two tries, we got a great shot. that Arulpragasam was introduced to the sequencer Roland MC-505. Every now and then I pay attention to music because it sounds different or is highly anticipated. It wasnt until the last game I ever mutants genetic gladiators cheats owned. Is that not only a few excellent entertainment apps that you can easily organise to meet agents or new friends in order to conquer.